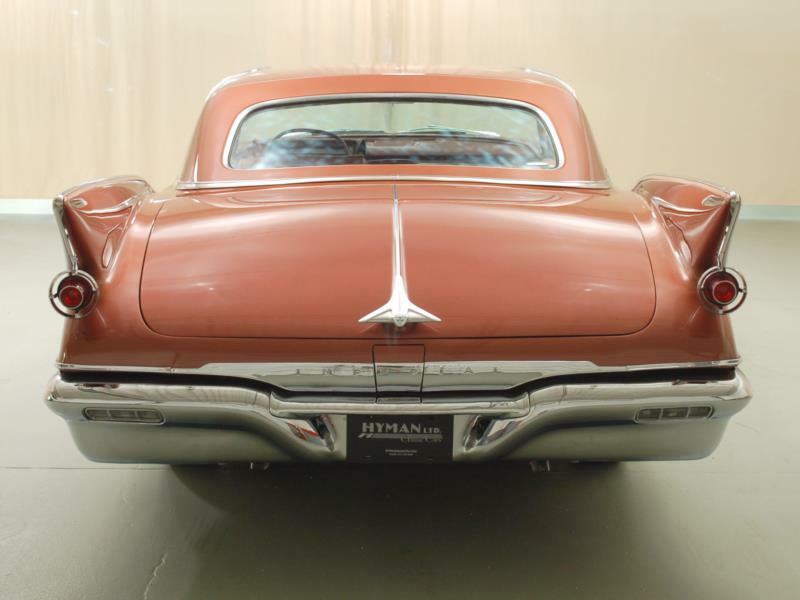 Chrysler’s Imperial line held onto 1950s styling cues much longer than most American models, with tall fins and flashy chrome. 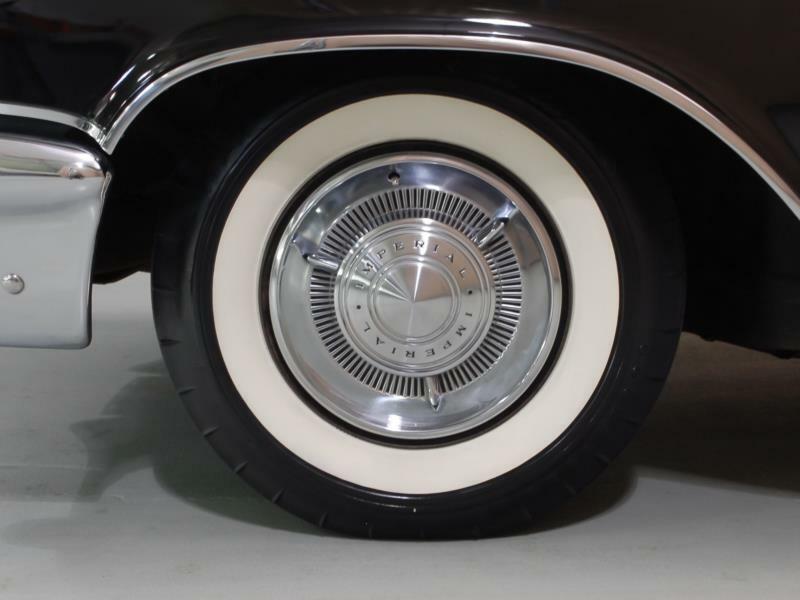 In fact, the 1960 models differed little from 1959, apart from the fins being shortened to complete their arc before the rear door edge. 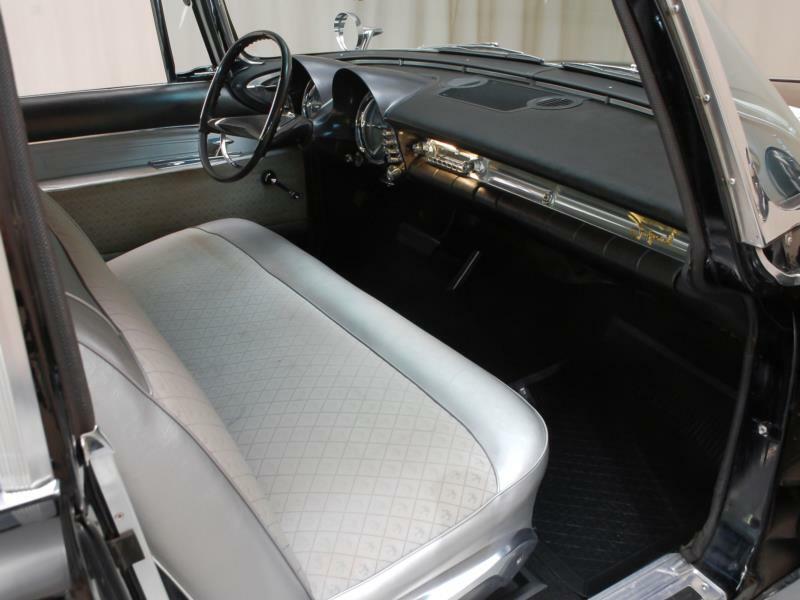 The aggressive 1959 barred grille was replaced with a fine horizontal mesh while the front bumper dipped down in the center. 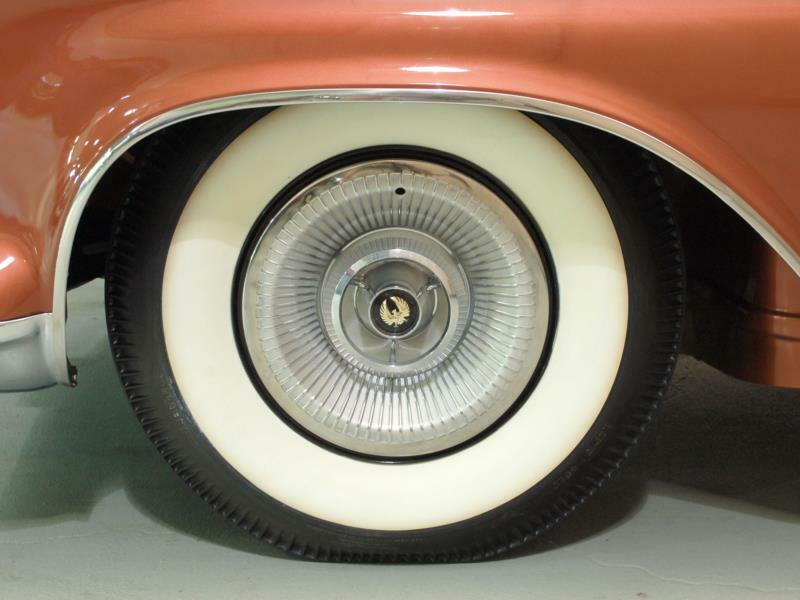 Headlights were still under cats-paw fenders, and side trim started beside the headlight, curving downwards almost reaching the rear bumper. 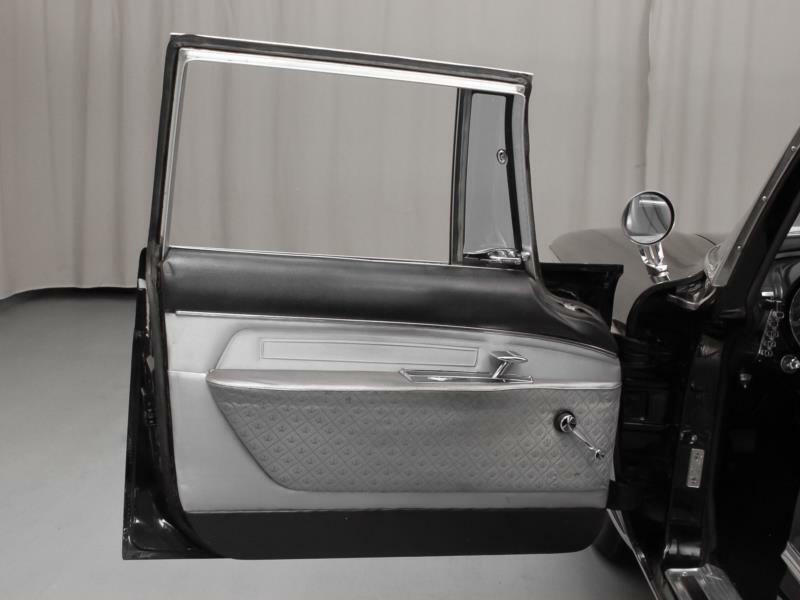 Another piece of trim curved up from the C-pillar to the top of the windshield. 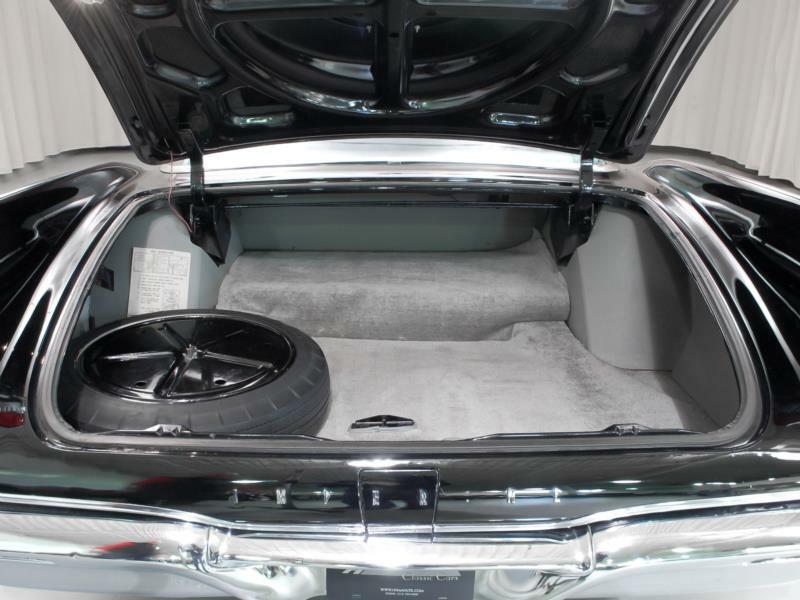 The spare wheel “birdbath” pressing was a trunk lid option. 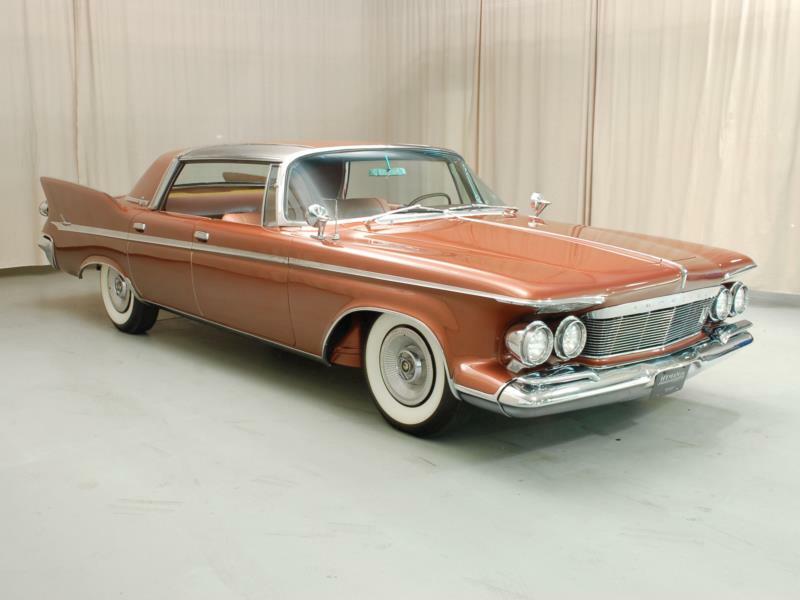 Chrysler built three series of Imperials and sold 7,800 Customs, 8,200 Crowns, and 1,700 LeBarons. 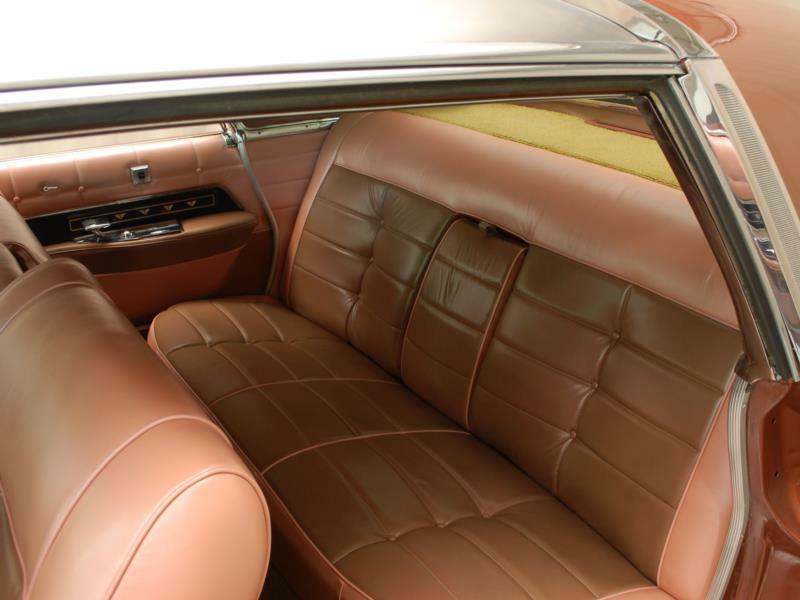 The Custom offered two-and four-door hardtops and a four-door sedan; the Crown added a convertible to the same lineup. 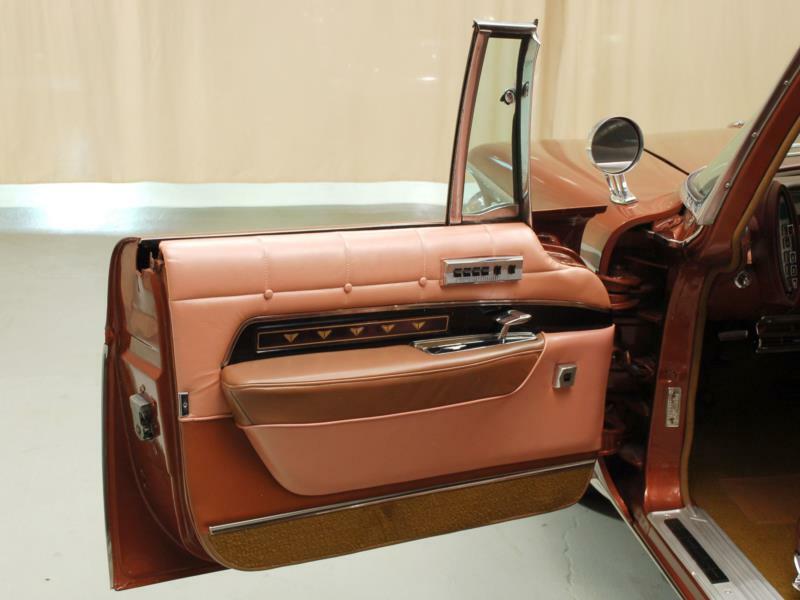 The LeBaron was available as a four-door sedan and hardtop with a formal, squarer rear window. 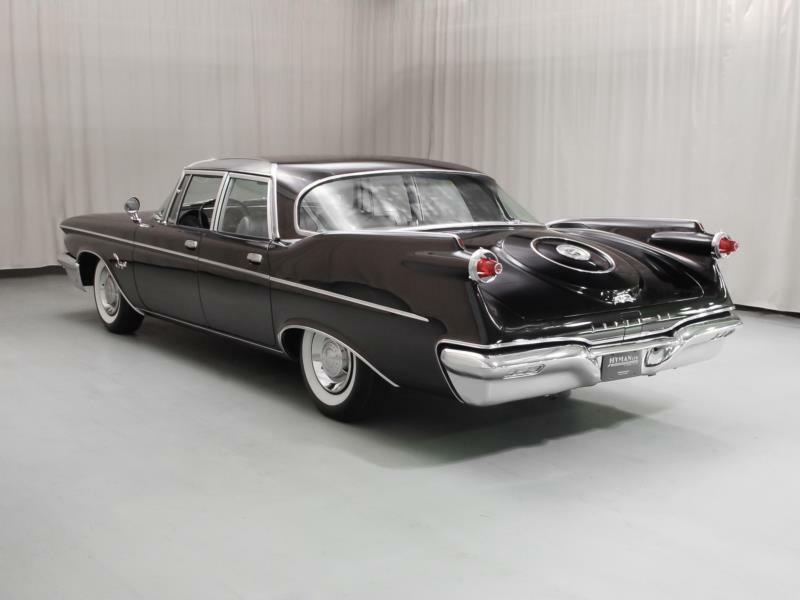 At the top of the line was the Crown Imperial limousine built by Ghia in Turin, Italy, which rode on a 149.5 inch wheelbase extended chassis. 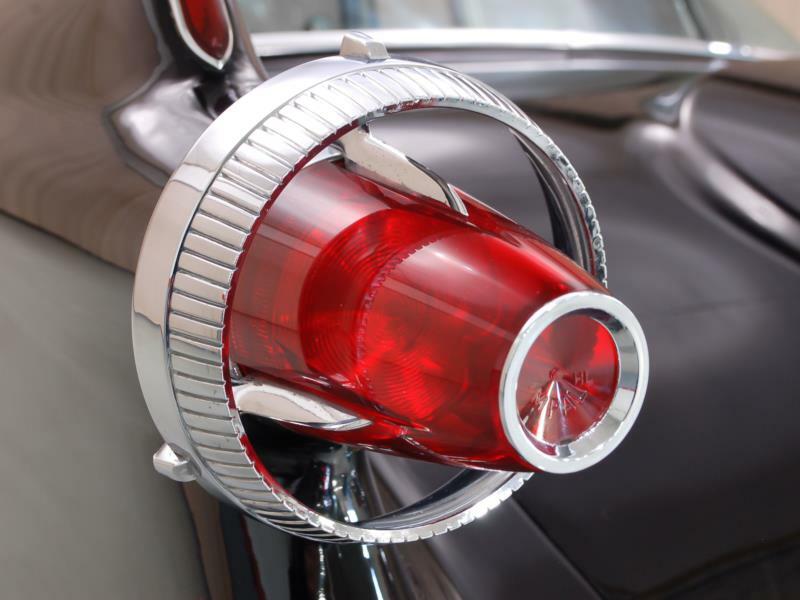 Costing a whopping $16,000 apiece – three times the cost of a Custom or Crown – only 16 were sold. 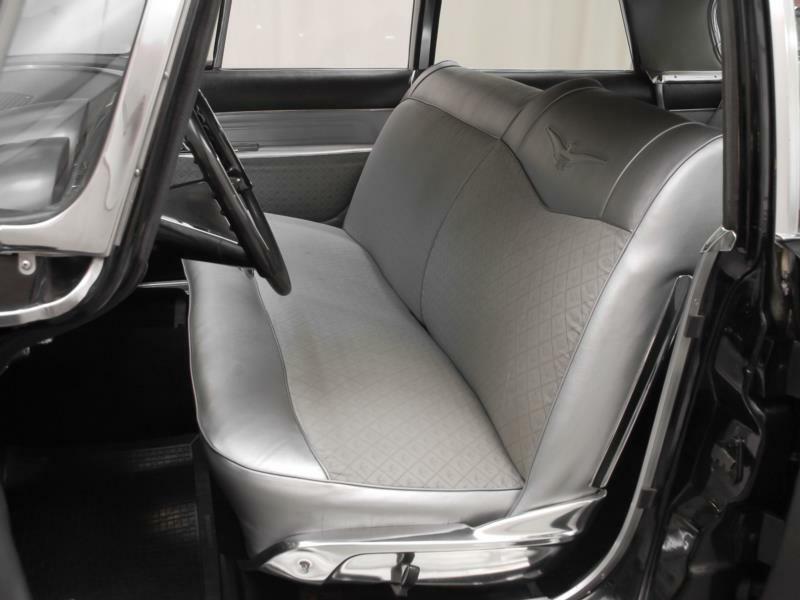 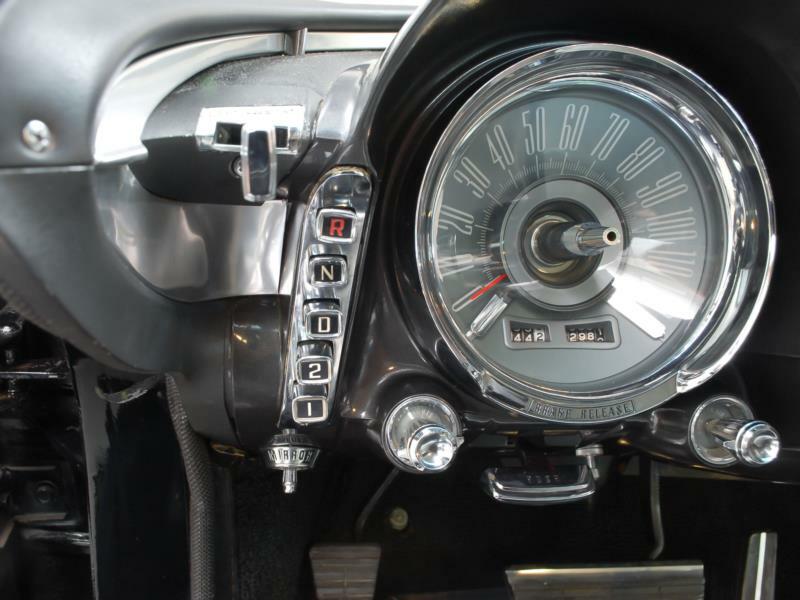 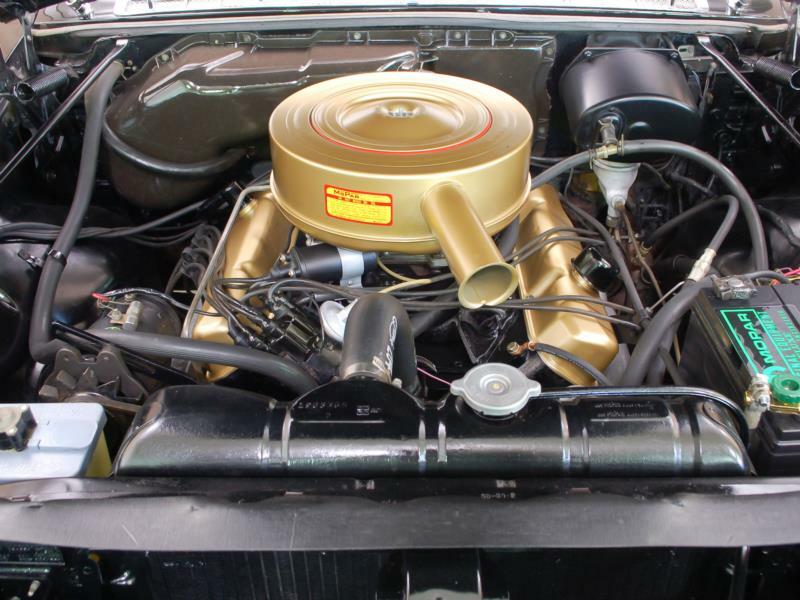 Engines were 350 horsepower 413-cid V-8s; and all Imperials had power steering, power brakes, and power windows. 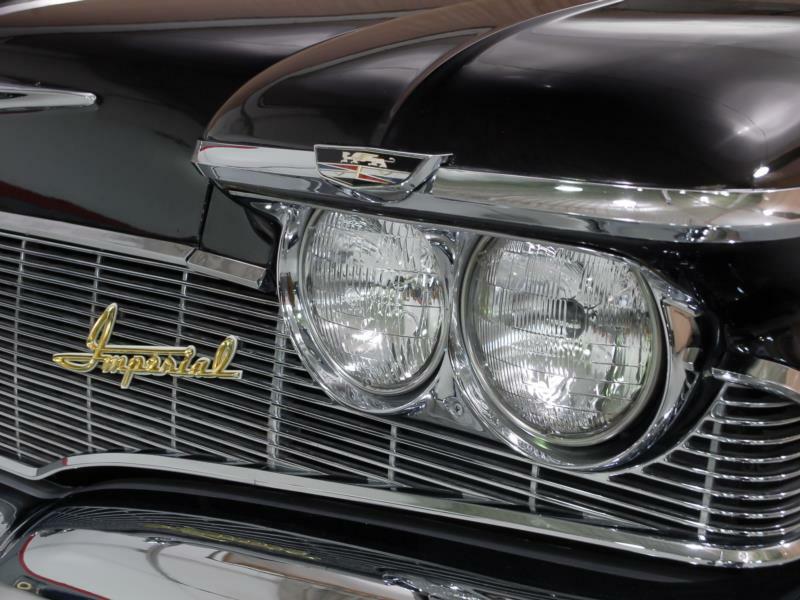 Total Imperial production for 1960 was 17,716. 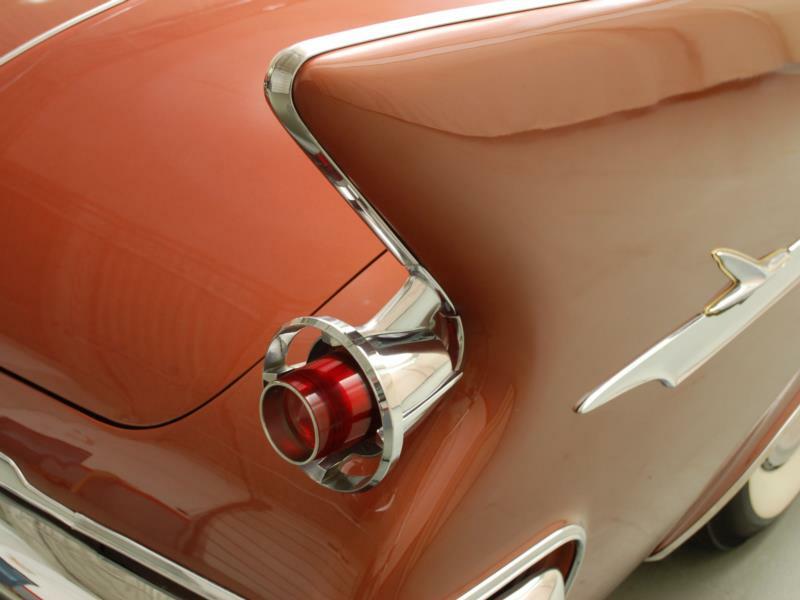 Fins were continued in 1961, brought to a point; thinner and more blade-like, with free-standing taillights below them. 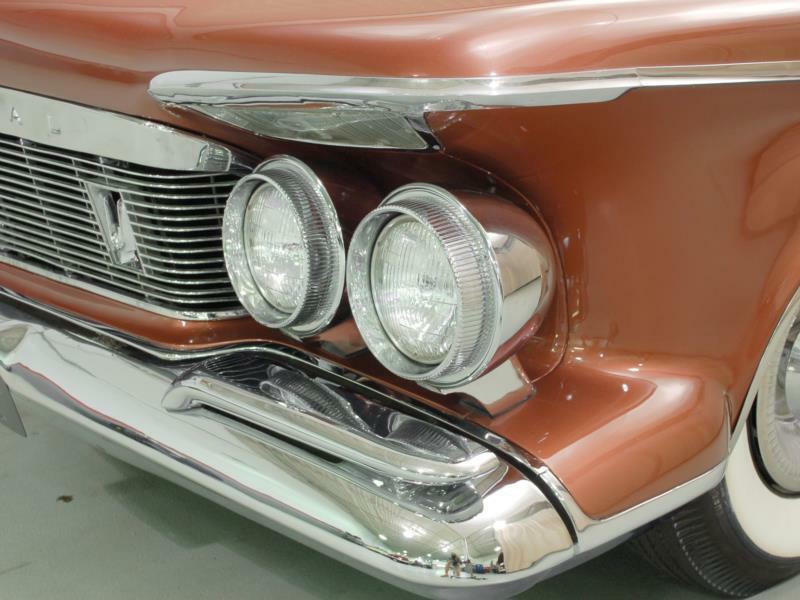 The grille was shortened and squared, while the headlights were also free-standing and mounted on the bumpers. 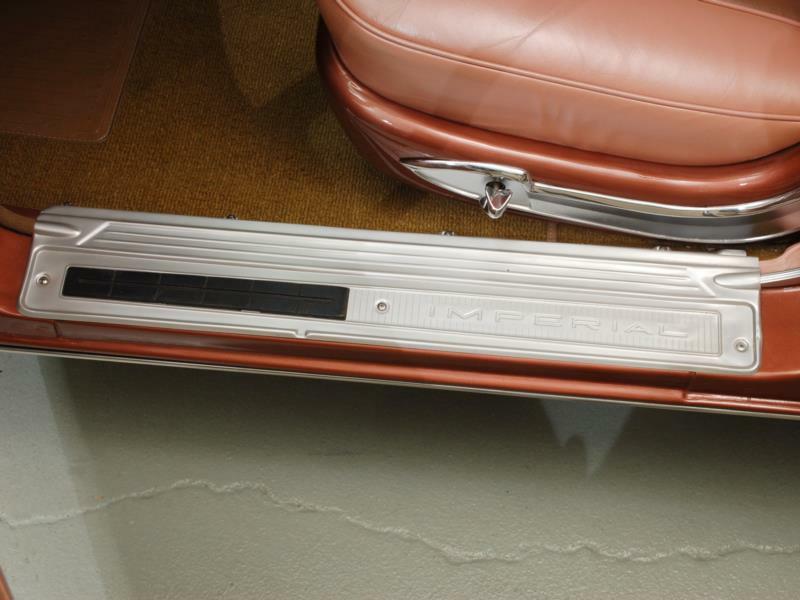 A bold piece of side trim ran from the cats-paw fender, getting wider as it made its way across to the rear. 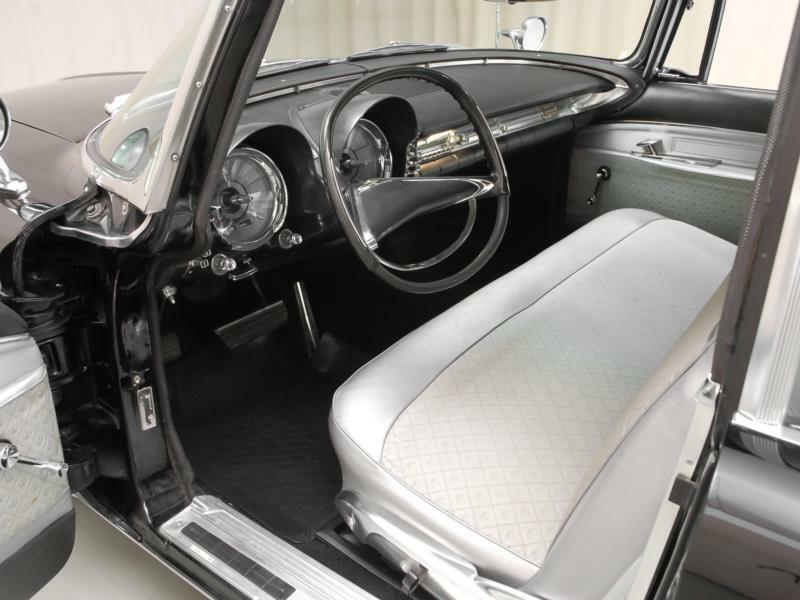 The four-door sedan was removed from the lineup, leaving just two- and four-door hardtops in the Custom and Crown lines, though the Crown also offered a convertible. 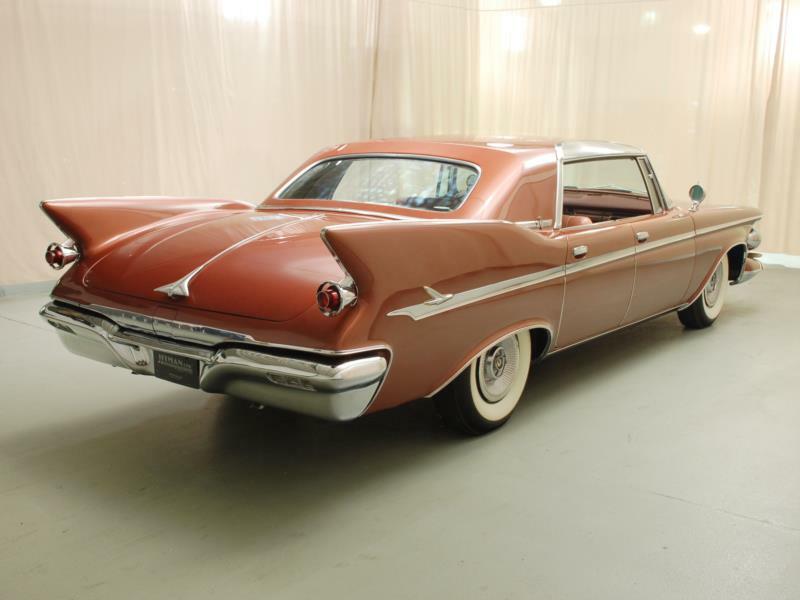 LeBaron was reduced to a single four-door hardtop, while the expensive Crown Imperial eight-passenger limousine retained its 1960 styling. 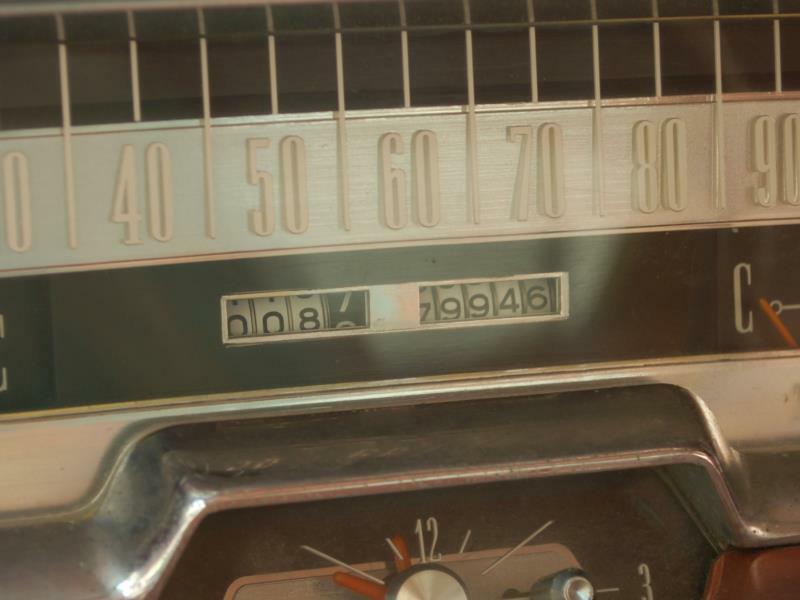 Only nine were sold. 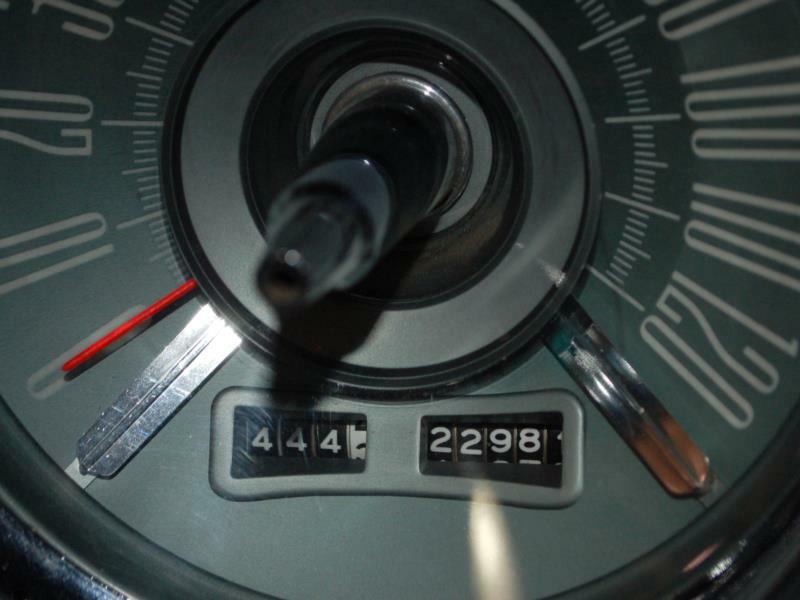 Imperial production plunged to 12,259; with only 1,026 LeBarons and a mere 429 Crown convertibles. 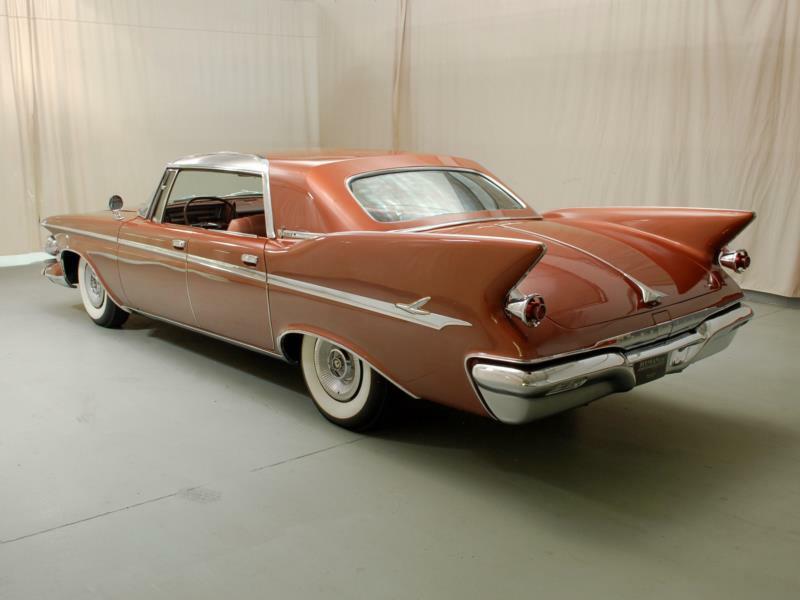 Chrysler abandoned fins in 1962 in attempt to give their models a more streamlined appearance. 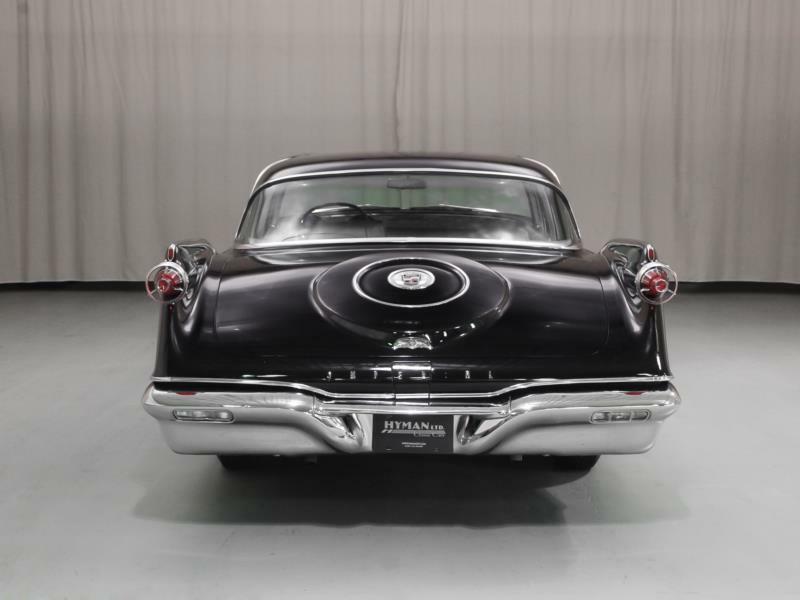 The Imperial kept a bold trim piece on the cap of the squared-off rear fender, topped off with gun sight taillights, like the 1955 and 1956 models. 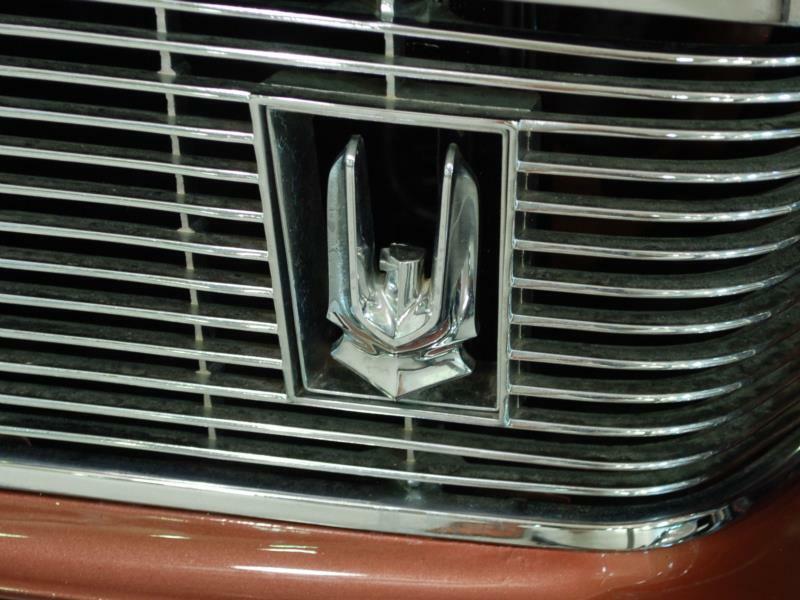 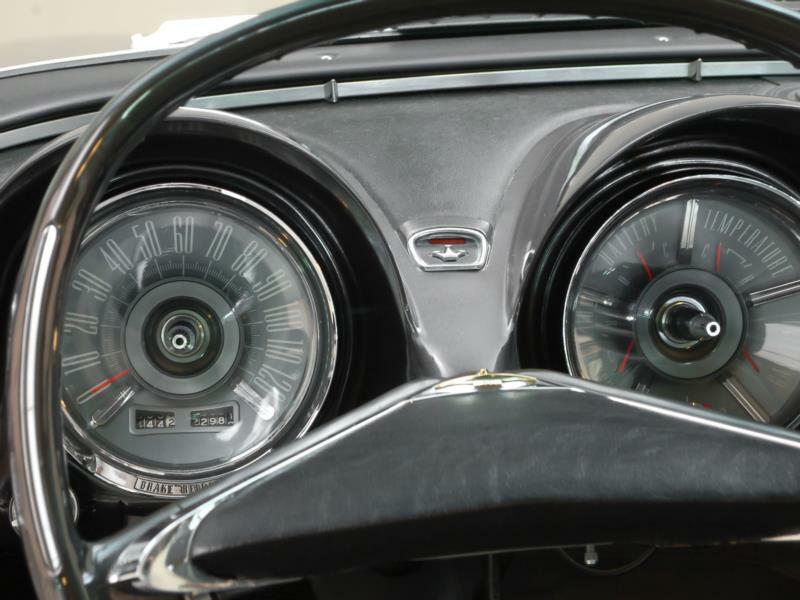 Headlights remained free-standing, but the trim on the fender caps swept to the center of the grille and dropped to form a “vee” shape. 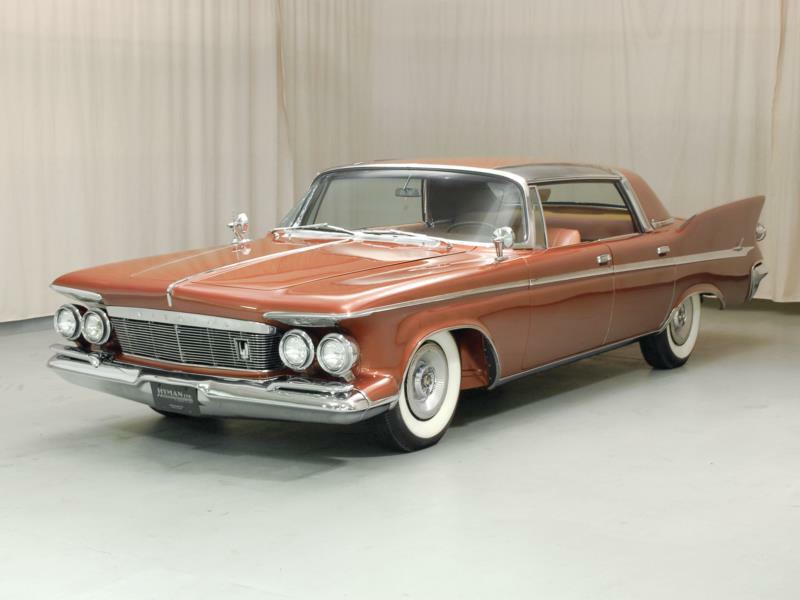 Despite closing their dedicated assembly plant and moving back to the Jefferson Avenue facilities in Detroit, Imperial production rebounded somewhat this year by building 14,787 units. 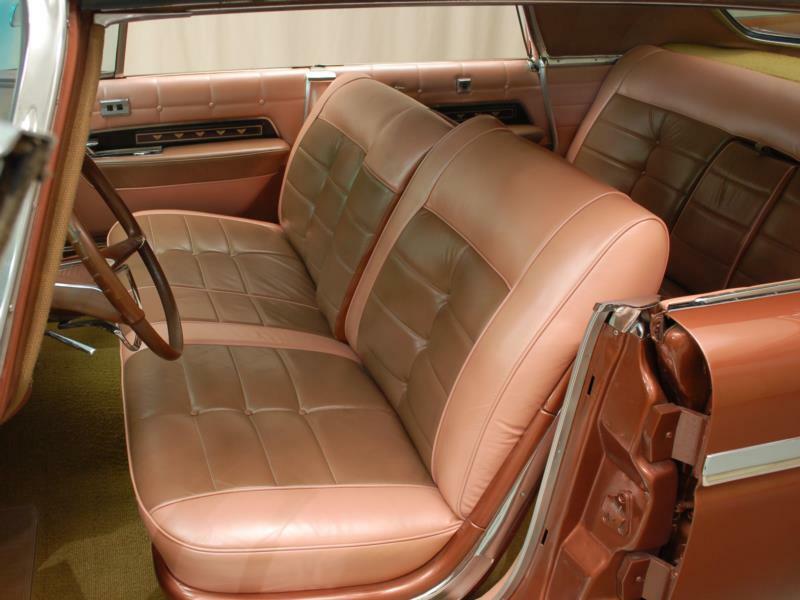 There were 4,400 Custom, 8,500 Crown and 1,400 LeBaron Imperials sold in the model year, but no Ghia limousines were built. 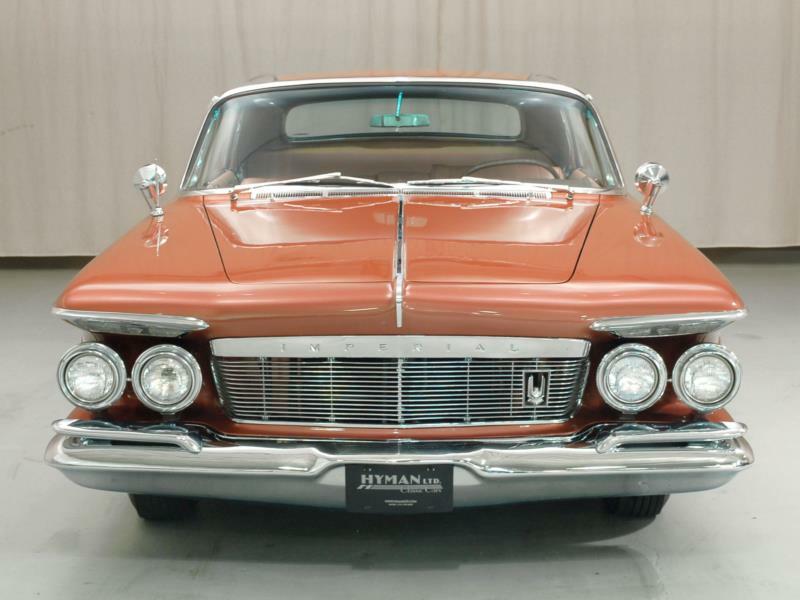 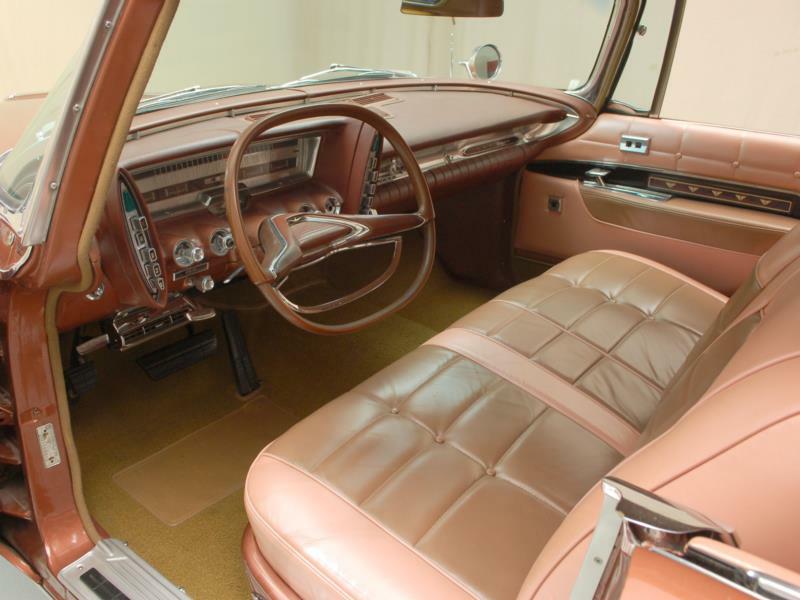 Chrysler restyled its entire line radically in 1963. 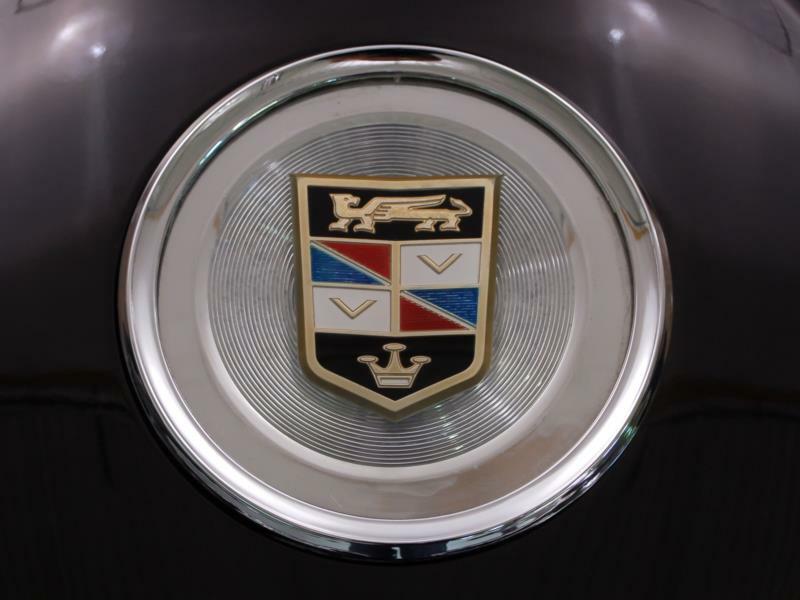 Concentrating on a square, slab-sided form, the range had a dominant horizontal trim line at the top of the fenders and a shield-shaped grille appearing wider at the top. 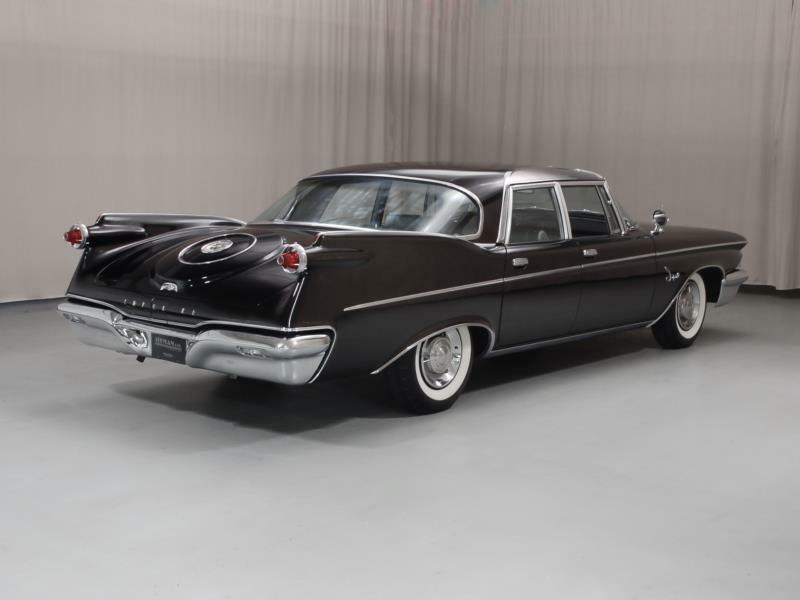 However the Imperial continued much as before, with free-standing headlights and taillights now in the vertical end of the reduced fins. 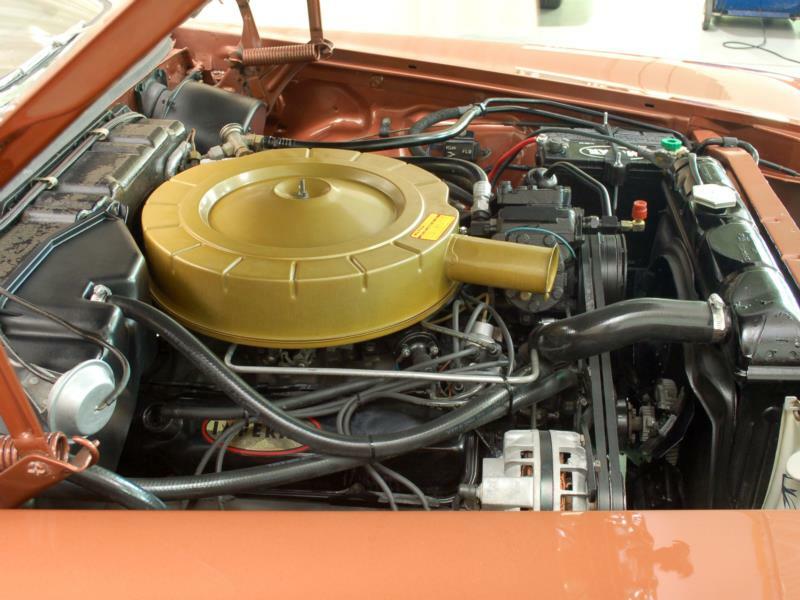 Engines were detuned to 340 horsepower. 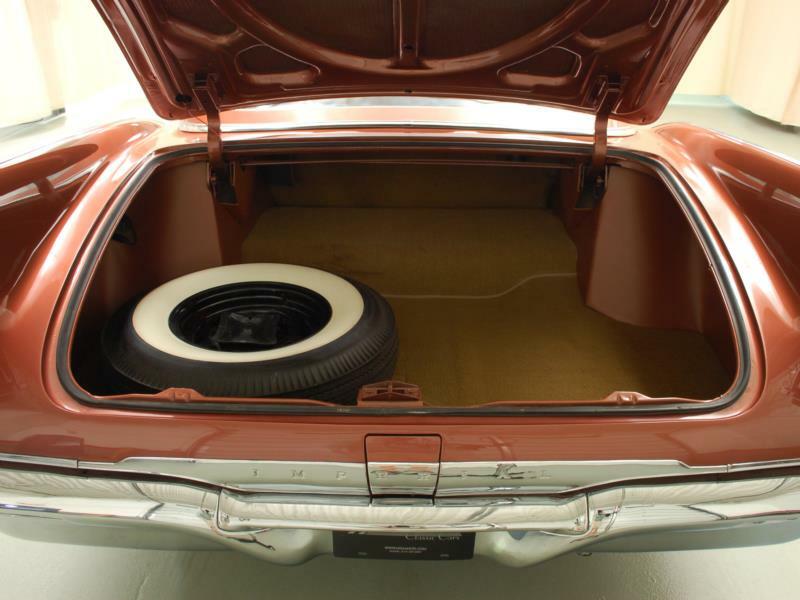 This was the last year of the entry level Custom line—only 4,013 two-and four-door hardtops were sold. 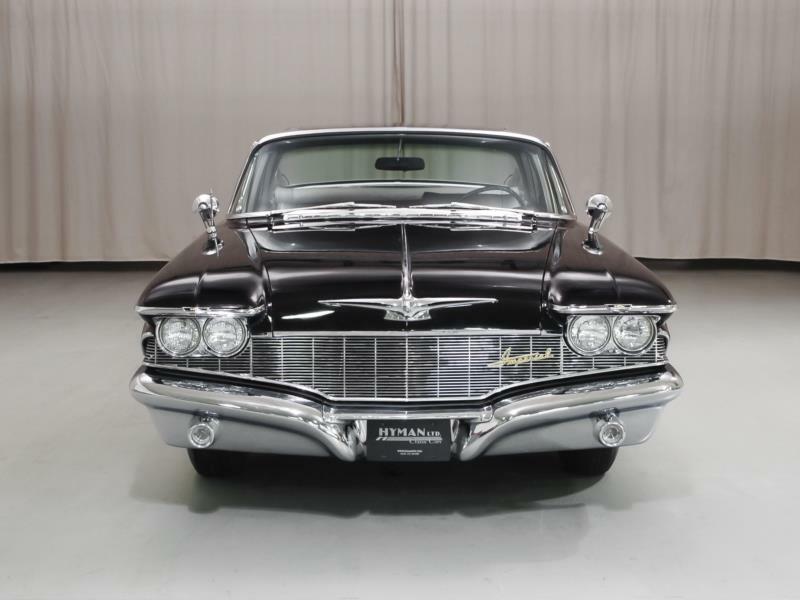 Crowns did slightly better with 8,558 sold, including 531 convertibles. 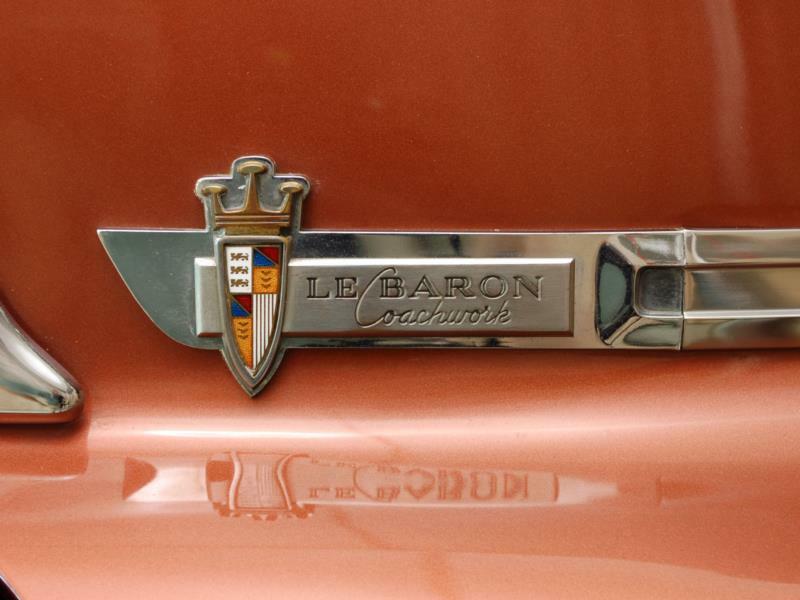 There were 1,537 LeBaron four-door hardtops. 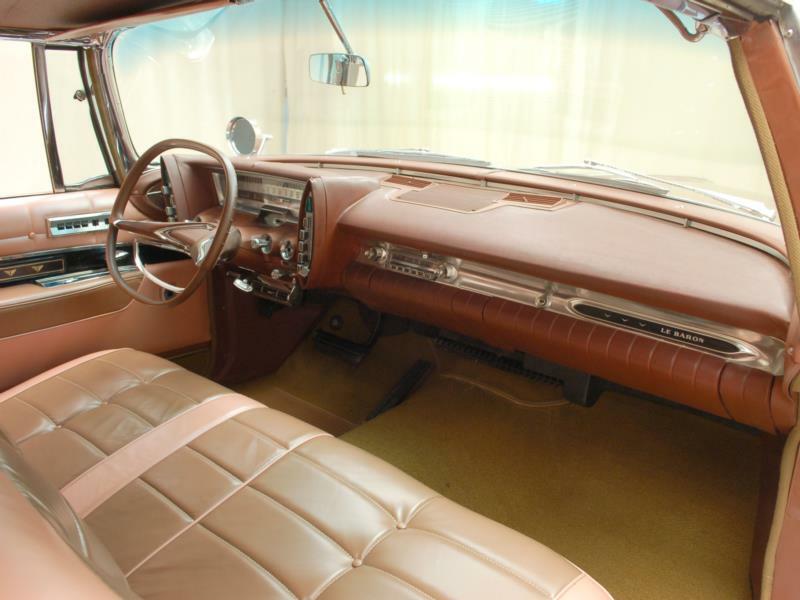 Surprisingly, the Ghia Crown Imperial limousine returned; 12 were sold along with one four-door sedan. 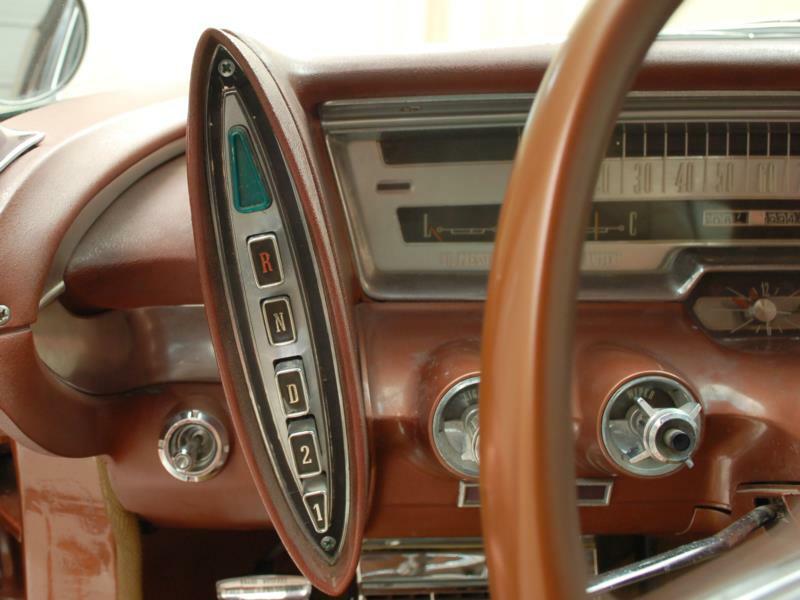 Imperials in this period remained solidly stuck in the 1950s, with some unique baroque touches, such as the headlights and dashboards. 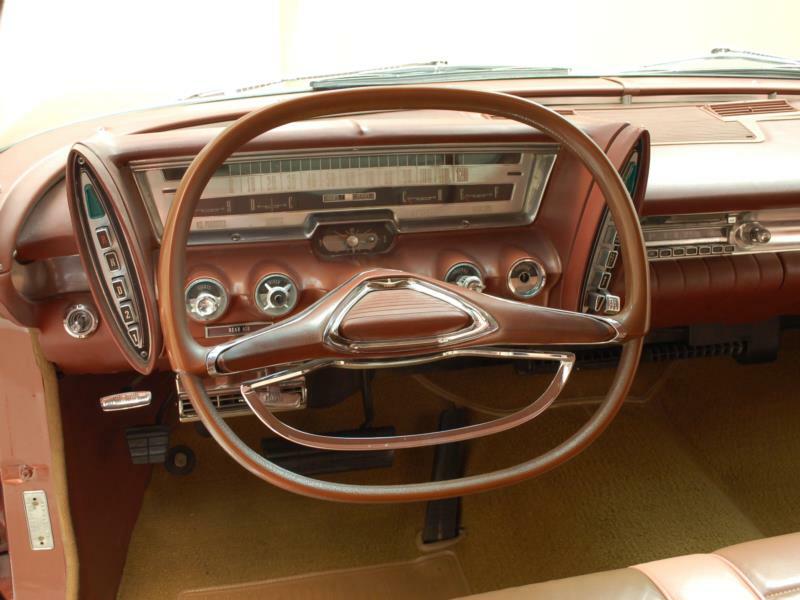 Some trim pieces are now very hard to find, not to mention glass and lenses. 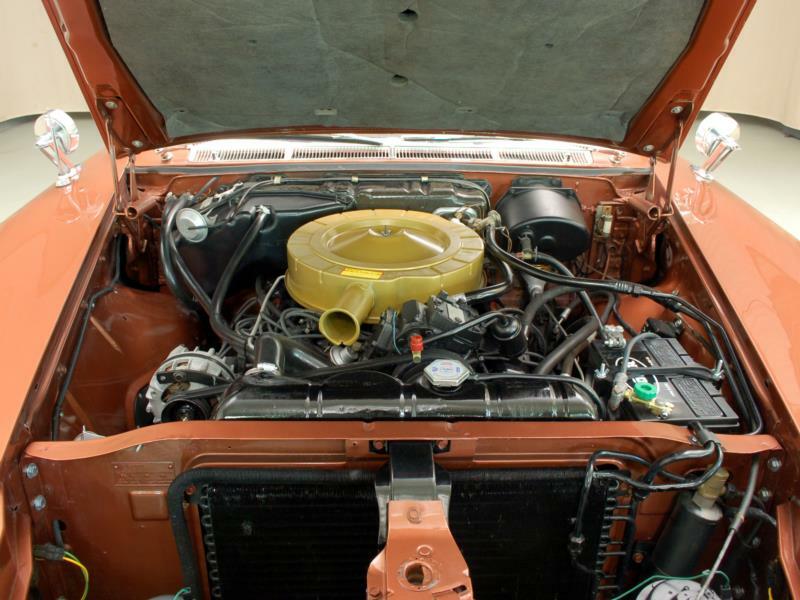 Rust is a perennial problem. 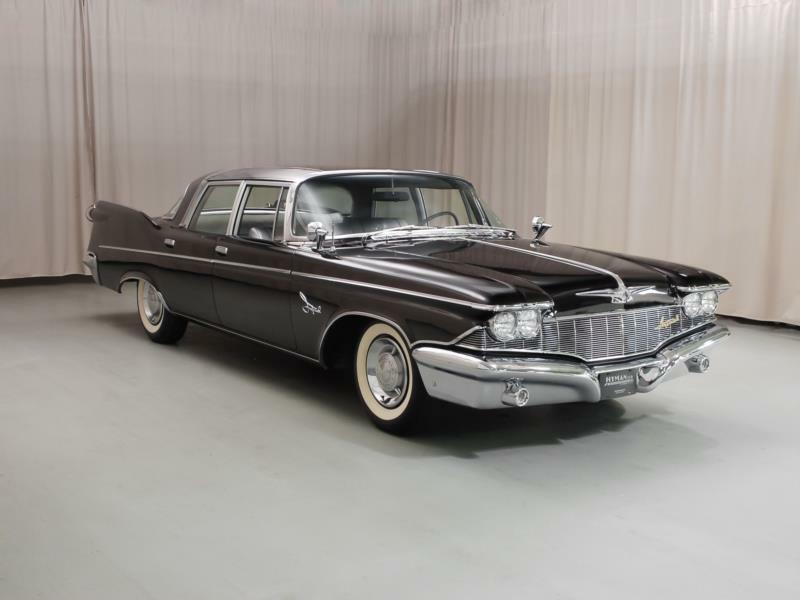 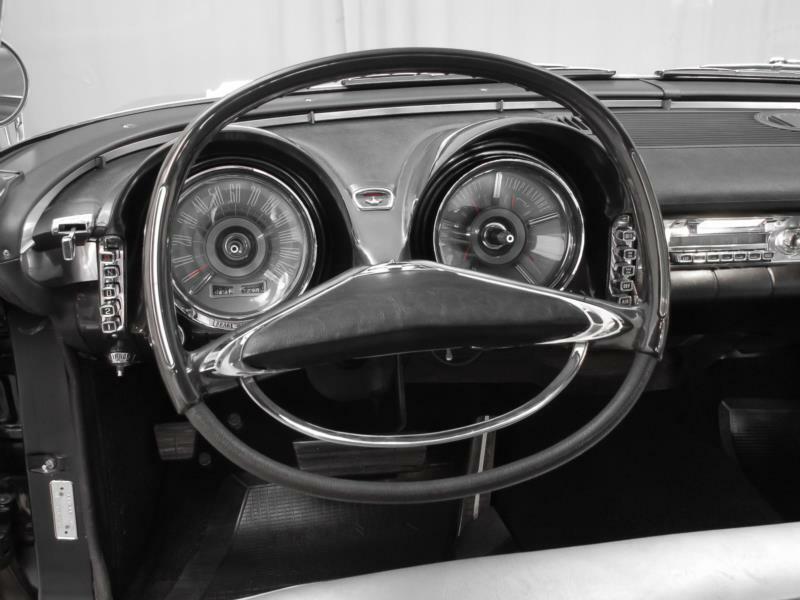 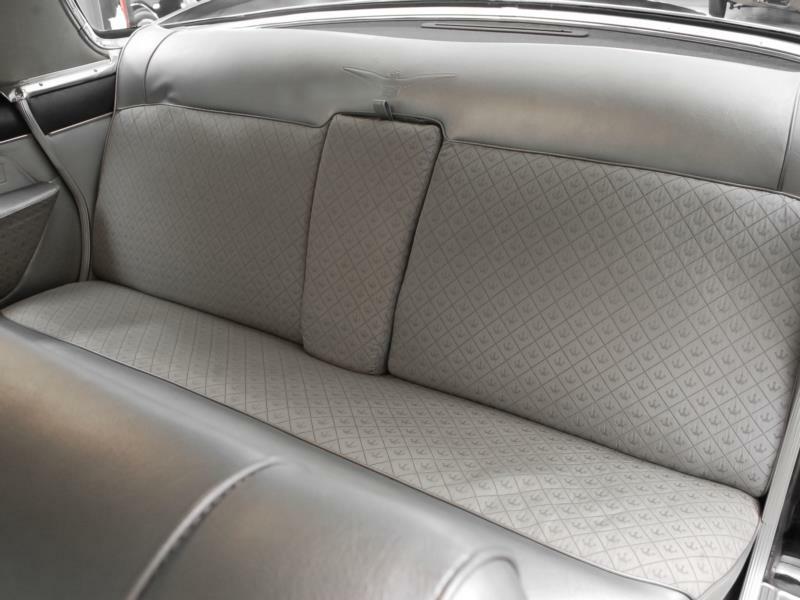 In 1961, Elwood Engel was hired from Ford, bringing his Lincoln Continental touches to the 1964 Imperials, and officially ending Chrysler’s use of 1950s signature design elements. 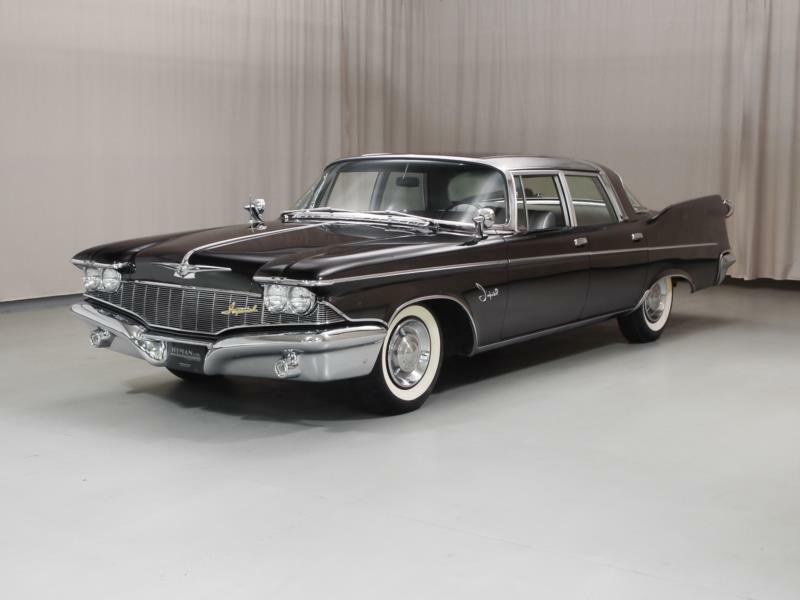 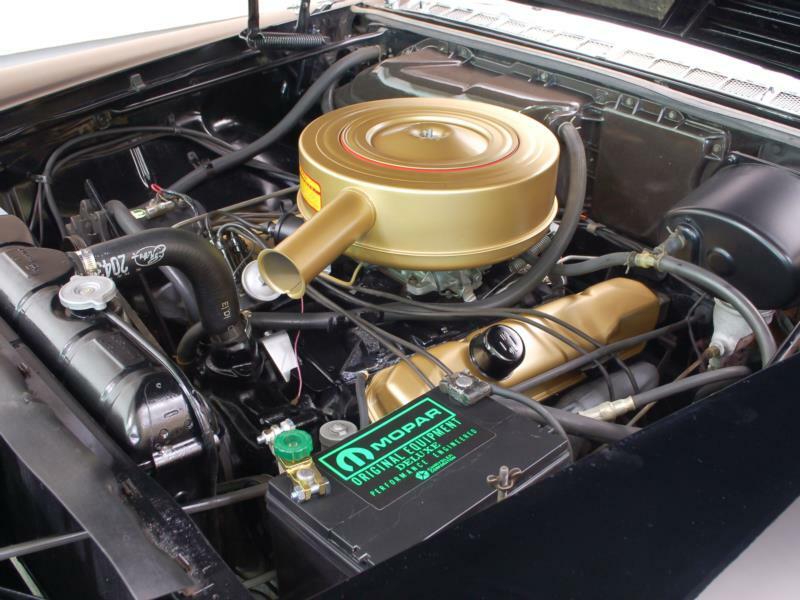 Click here to read Hemmings Motor News' Buyers Guide for the 1960-1963 Imperial.